Some years ago a lady pulled into my yard with some government sponsored forms that she asked me to fill in. I complied and returned the information to her in due course. A while later I got a phone call from her requesting the information again as she had somehow misplaced it, or lost it on her computer system. My reluctance to go through the exercise again brought the response that it was mandatory for me to provide that information, by the authority of the Government of Canada. I declined her request and that was the end of the matter. The present Government of Canada has now decided to do away with this way of collecting detailed information from households, in favor of a more simple and voluntary data collection form. This has brought about an outcry from the bureaucracy that collects and processes all this information, for the benefit of? Most likely themselves. So, kudos to our conservative MPs who are getting sick and tired of an ever growing civil service(?) looking for feed stock to expand itself on. The long gun registry is another case in point: You have on file all the guns of the law abiding citizens of this country, in contrast to the ones carried by all manner of crooks and thieves that are most definitely not registered. What is the rationale behind this other than giving the bureaucrats more information for the benefit of? Themselves again. Once more, our conservative MPs have shown some backbone and have stood up for what they were elected to do. There may be a faint hope for democracy yet. The tail has been wagging the dog for far too long in this country. That is true both provincially and federally. Have you ever tried to contact a civil servant by phone lately. It is literally impossible, even for an MP without having been provided with the phone number by that civil servant personally. Some time ago, when I was trying to contact a lady that I know, working for Human Resources and Skills Development Canada in the nearby city of Red Deer, I was told that I actually had to walk into the building I believe she works in, and ask to see her there. Her telephone contact information could not be disclosed. So it would appear that our so called “civil servants” are hiding out of reach. Pyongyang, July 23 (KCNA) -- The south Korean Citizens' Solidarity for Democratic Society in a report on July 19 raised a new doubt about the case of warship sinking. The organization said that the "Ministry of National Defense" organized a meeting on July 15 to brief civic organizations on the case of warship "Cheonan" only to make them more skeptical. When asked about the size of a submarine boat which allegedly intruded into the waters where the warship sank, the "Ministry of Defense" first said that it was 2.75 meters wide but later made correction that it was 3.5 meters in width, the organization said, accusing the ministry of its ambiguous remarks about the name of the submarine and its voyage the day the case occurred. The military authorities and the "joint investigation team" branded the submarine which they said attacked the warship as of "yono" level manufactured in the DPRK. But such submarine is recorded as a product of other country in a prestigious world military yearbook, the organization clarified. Noting that the military authorities have also failed to scientifically prove the adsorptive obtained from the wrecked torpedo, the organization held that if the aluminum oxides turned adsorptive, so must have done the component of explosive powder. What is all the more doubtful is that fluorescent lamps remained undamaged inside the warship despite the "explosion by torpedo", it noted. The military authorities asserted that the propeller of the warship became bent by the inertia force following a sudden stop but such thing could not happen as the warship sailed at a low speed at that time, the organization pointed out, stressing that anybody can easily see that propeller became bent when it was given a turn to the opposite side. The organization declared that it would send its report and photographs to media and the "National Assembly" for verification." It's all about raising money for kids living with cancer and happens across Ontario and Alberta this summer. The Alberta group had lunch in the parking lot beside the fire hall in Caroline on Friday, July 16, before continuing on the next leg of their journey. A spokesperson for the cyclists said that a lot of fund raising takes place for adults with cancer. Children with cancer tend to be left out of this process. This "rampart" was poured on Canada Day on the eastern entry of the hamlet of Spruce View alongside Highway 54. A similar structure was created on the west side of the hamlet. They are presumably meant to be welcoming signs for visitors to Spruce View. They have the potential of becoming tombstones for motorists that have the misfortune of running into the ditch during stormy weather and slippery road conditions. Highway engineers go to great lengths not to place such immovable obstacles alongside highways. After many years without medical services available locally, Caroline area residents will once again be able to see a doctor from the Rocky medical team in Caroline, beginning on Tuesday, September 7, and every Tuesday after that. The clinic will be located in the space Lasting Impressions used to occupy in the mini mall just south of ATB Financial. The Caroline and District Chamber of Commerce has spearheaded this initiative and according to Chamber President, Reg Dean, a key player in the process has been Caroline Mayor Laura Cudmore, who is also a member of the chamber. Dean noted that arrangements will be made for medical supplies, such as drugs, etc., to be available locally as well. (An Innisfail based pharmacist used to accompany the Innisfail doctors to Caroline with supplies for this service in the past). The main financial contributors to this 2 year project are the Village of Caroline ($20,000) and Clearwater County ($30,000), leaving a budget shortfall of some $18,000 that will have to be picked up by the community. NEW DELHI:Global shipping rates are heaving and tossing. In May, it cost $25 to send one tonne iron ore from Andhra Pradesh to China. Today, it costs $12.50. Bringing a tonne of coal from Australia to India cost $30 per tonne in May and now $17.50. The cost of shipping gasoline to the U.S. from Europe may fall from the highest level in 21 months as growing inventories indicate a diminishing need for imports. The rates charged to transport the fuel will slide 14 percent from July to December, only the second decline for the period in the past seven years, freight-rate derivatives showed. Stockpiles of the fuel rose to 221 million barrels in the seven days ended July 9, the most for mid-July since 1992, according to the Energy Department in Washington. Imports tumbled 27 percent in the week, the first decrease in five weeks and the biggest drop since Feb. 12, department data showed. Being young may have a few advantages, but the ability to find work in Alberta is not one of them. In June, the unemployment rate for Alberta workers aged 15 to 24 was 11.7%. That is nearly double the average rate for workers aged 25 to 54, where only 6.1% of the workforce is out of a job. (The figure is adjusted for seasonality, so the student summer job crunch is accounted for). Youth unemployment rates are traditionally higher than they are for more mature workers. The problem, as any frustrated youth job seeker will tell you, is the lack of experience they face. It’s the classic Catch-22 scenario: you can’t land a job because you don’t have enough experience, but to get experience you need to land a job. More mature workers tend to have more of the necessary work experience and can therefore find work more easily. Unemployed youth, though, do tend to have more possible options to explore. Returning to school for more training or traveling abroad are popular routes for young adults who lack steady work. But these options become less practical for older adults who have more financial obligations such as mortgage payments or raising a family. I know that many of you readers keep an eye on stock market indexes as they bounce around from day to day. The DOW Industrial, NASDAQ, etc. And stock market indexes overseas in Asia, and down under in Oz. What do these indexes tell us about the economy? Not a lot. They say something about what is happening in the speculative economy where people try to multiply their money as quickly as possible, with little regard for consequences in the real economy, but that’s about it. So, are there any reliable indicators of what is going on in the real economy where goods and services are produced and exchanged, as opposed to simply zipping computer generated numbers across the oceans? Indeed there are, and I have come across three of them so far: The Baltic Dry Index or “BALDRY” (nothing to do with champagne), the copper index and the “HARPEX” (Harper Petersen Index). These are all leading economic indicators, as opposed to trailing ones like unemployment numbers, for example. The Baltic Dry Index(BDI) is a number issued daily by the London-based Baltic Exchange. Not restricted to Baltic Sea countries, the index tracks worldwide international shipping prices of various dry bulk cargoes. The index provides an assessment of the price of moving the major raw materials by sea. Taking in 26 shipping routes measured on a timecharter and voyage basis, the index covers Handymax, Panamax, and Capesize dry bulk carriers carrying a range of commodities including coal, iron ore and grain. This index is way down right now, indicating a slowdown in the real (productive) economy. Copper prices are also way down and copper is used in an awful lot of manufactured goods, so it is a good indicator of economic activity. In contrast to the BDI which typically measures bulk cargoes – ore, crude oil, coal and grain, the HARPEX typically measures finished goods – the containers of electronics from Taiwan, toys from China, textiles from Italy and so on. Accordingly it is a good indicator of global consumer activity and value-added conversion activity – which for a consumer-driven and high value-added conversion economy such as the US, it is a critical indicator. The HARPEX is way down as well. While the economic stimulus money that has been poured into the world economy from central banks has put a breath of life into these indexes recently, that appears to be a temporary phenomenon. So, if you are one of those placing your money on the horses, these indexes should be very useful because they are predictive of real economic activity, as opposed to reflecting the day to day whims of gamblers like the DOW and others indexes do. This family of five of Canada geese have made their home by the weir at Burntstick Lake south west of Caroline. They are used to people looking at them but are a little weary if you come too close. Water, sand and sun at Burntstick Lake. These young fellows, along with many others, enjoyed themselves on the public beach on Friday, July 9. This potato came out of a root cellar at Crammond on July 10 and show quarter inch shoots. In years past these shoots would be more than 6 inches long at this time, indicating that the subsoil is unusually cold this year, due to a prolonged wet and cold spring and early summer. Another area gardener with a root cellar has confirmed this report. Planted seeds have rotted in the ground and germination of seeds has been very patchy this year. Vegetable growth has also been sluggish to date and hay growth has been very slow. Some people believe that the underlying cause of this phenomenon is low energy output from the sun, which is some three years late in starting the 24th. observed sunspot cycle that usually lasts about 11 years. The "Little Ice Age" recorded in Europe between the years of 1645 and 1715 AD coincided with the absence of observed sunspots during that time. The river Rhine was reported as being frozen over in Germany well into June during the years of the little ice age. Grain crops planted on north sloping land failed to mature during the short growing season. The Baltic Dry Index shows what is going on in shipping across the worlds' oceans and so tell the story about how much activity there is in the real economy, as opposed to stock trading indexes like the DOW Industrial Index, etc. It has just taken a nosedive indicating big trouble ahead. 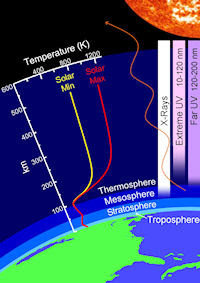 July 15, 2010: NASA-funded researchers are monitoring a big event in our planet's atmosphere. High above Earth's surface where the atmosphere meets space, a rarefied layer of gas called "thethermosphere" recently collapsed and now is rebounding again. 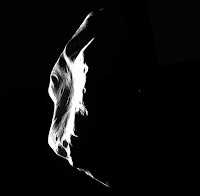 July 14, 2010: The European Space Agency's Rosetta spacecraft has beamed back close-up photographs of asteroid Lutetia, an ancient, cratered relic from the dawn of the solar system. Scientists are abuzz about the stunning images, which reveal a worldlet of haunting, alien beauty. 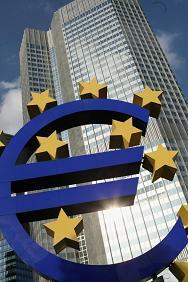 The EU banking system is in big trouble. Many of the Union's largest banks are sitting on hundreds of billions of euros in dodgy sovereign bonds and non performing real estate loans. But writing down their losses will deplete their capital and force them to restructure their debt. So the banks are concealing their losses through accounting sleight-of-hand and by borrowing money from the European Central Bank. This has helped to hide the rot at the heart of the system. As the forests of pre industrial Britain were depleted and transformed into charcoal to support a growing population, there must have been a number of doomsday prophets around that perceived insurmountable problems ahead. As it turned out, the shortage of charcoal provided the impetus to figure out a way of removing sulphur from regular coal and so create a usable substitute for charcoal. Britain became the leader of the industrial revolution and created an empire upon which “the sun never sets”. Today, there are those that speak about “peak oil” and how our civilization has to adapt itself to alternative energy sources, such as sun , wind, geothermal, etc. What they don’t seem to realize is that shortages lead to innovation, just like it did in Britain some hundreds of years ago: New ways are now being devised to recover oil that could not be economically collected previously. Here in Central Alberta that reportedly has resulted in vastly improved recovery of oil from a relatively thin “cambrian formation” some 2 kilometers below the surface. New drilling technology enables “spurs” to be drilled horizontally once the formation, which may only be some 30 feet thick, has been reached. 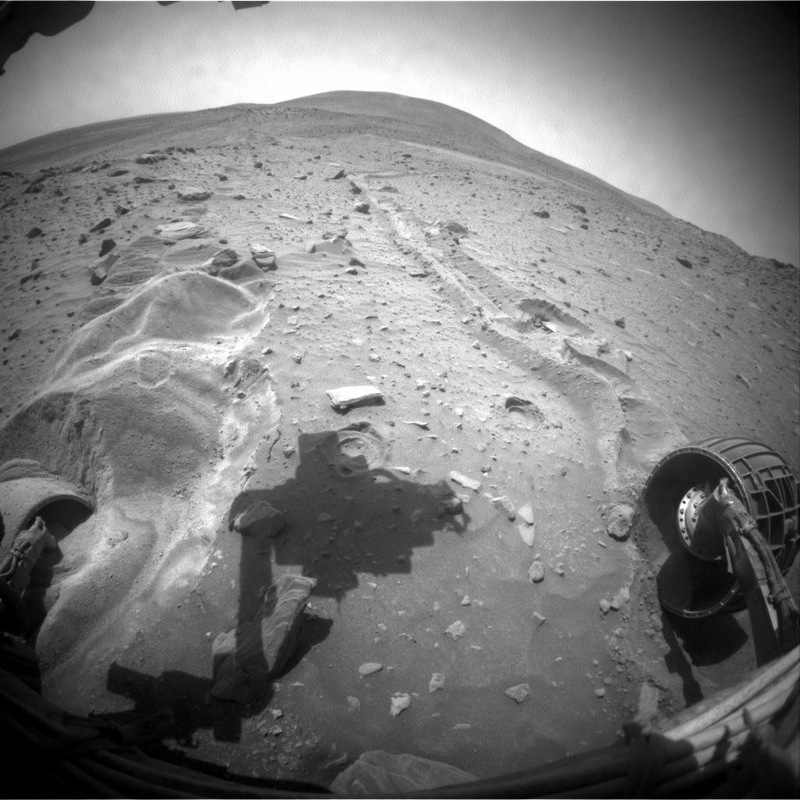 These horizontal spurs can be one kilometer long and have multiple oil collection points along the way. The result is much improved oil production from local wells even though oil flow through the shale deposits is very slow. And there is probably more oil in this world than we will ever use. In the end it comes back to economics, not a scarcity of the resource. That is equally true of any commodity you can think of, whether natural or manufactured: There is abundance, or potential abundance, everywhere. The earth can easily sustain a lot more people than it does at present. The limiting factor is how people organize themselves in sharing what is there, and what can be manufactured. than continually warring with their enemies. The higher population density possible in an agrarian society also made defense of territory much easier. A win-win for everybody. They had re-discovered the wheel that had been used by ancient civilizations and more recent ones in the Middle East for untold centuries. The key was a change in relationships between individuals and groups, where the demarcation and ownership of land became all important. In our brave new world we are faced with the same old challenges: Are we simply going to start slaughtering each other when a certain point is reached, like our nomadic forebears did, or are we going to change our ways? The Alberta Utilities Commission (AUC) notified the Lavesta Area Group today that the commission’s decision to award $35 million dollars to AltaLink, for its role in the 2007 hearings wherein government hired private investigators were caught spying on citizens, is still under review. AltaLink’s role in the 2007 hearing is a matter of great concern by landowners, given the fact that there were numerous irregularities that eventually lead to the admission of the allegation of bias by AltaLink, along with charges of actual bias by landowners. Landowners challenged the board’s decision to award $35 million dollars to AltaLink for its role in the proceedings, based on the participation of Mr. McGee as a board member in the disgraced proceedings. Mr. McGee adjudicated in the disgraced proceeding, the very same proceedings the Hon Madame Justice Conrad referred to as “an abomination of procedural fairness”. Landowners claim that Mr. McGee’s continued participation in the process and his subsequent awarding of $35 million to AltaLink is a conflict of interest which constitutes a bias in the process. Landowners’ claim Mr. McGee should have been disqualified from adjudicating due to his previous participation. Landowners are demanding that the board vacate its decision to award AltaLink $35 million dollars and appoint a new board panel, independent of any connections to the disgraced 2007 hearings. The Lavesta Area Group wants a complete transparent process to investigate the irregularities surrounding the spying on landowners, particularly in regard to costs incurred by industry and any reimbursement of funds. The annual Canada Day parade in Spruce View saw Highway 54 lined with spectators and a great variety of floats participating. The weather cooperated and the day started off with pancake breakfast at the Spruce View Hall. Please circle your calendar for the weekend of September 10, 11 and 12 when the Caroline community will celebrate its heritage with events at the complex on Friday, the museum on saturday and the Legion on Sunday. The Homecoming program at the Legion will commence with an interfaith church service at 10:30 am on Sunday with guest speaker Paul Reich. Pot luck lunch at noon with a “Homecoming Memories” program to follow at 1 pm. This is an early notice. Please pass it on to relatives and friends, near and distant, so that they may incorporate this event in their plans for the fall. Get well wishes to Betty McLelland who fell and broke her leg. Anyone interested ion going to Rosebud on July 14 to see “Oliver”, please call Jeanne at 722-3870. There will be foot care at the Caroline Drop In Centre on July 12 and 19. Phone Jeanne at 722-3870 if you would like an appointment with Marietta Rietz for foot care. The members of the Caroline Drop In Centre will be having their picnic at the Caron campground at 6 pm on July 19. Please confirm whether you plan to attend the picnic with the person from the phone committee who phones you. If you need directions to the campground, or need a ride, please be at the Drop In Centre by 5:15 pm on July 19.
would stand to make a fortune by short selling the stock (borrowing shares, selling them and buying them back at a lower value later on and then returning them to the original owners, pocketing a handsome wad of cash for nothing in the process). On the other hand, it might have been an accident born out of sheer incompetence. We shall probably never know. The swine flu is another case in point. Was it simply a matter of spooking enough people to make a financial killing on swine flu vaccine that nobody really needed? We will likely never know. What about the 9/11 events. Was that all about rattling world financial and stock markets as well? OK, we have been talking about red herrings. Are there any really big fish out there that we should be taking notice of? Most assuredly there are: We are polluting the earth’s oceans with nitrates, phosphates and just about everything else you can think of, using our great rivers as waste disposal channels. Runoff from industrial agriculture is fertilizing water bodies to a point where algae growth is absorbing most of the available oxygen in the water, causing other life forms to perish at an alarming rate. Increased carbon dioxide in the atmosphere is being absorbed by the oceans, creating carbonic acid in the upper ocean layers where most of the fish life exists. Layers of dead algae settle on the ocean floor, obliterating life at that level, etc. But where are the mainstream media? Far, far away, trying to dig up another story that will spook you and make a quick buck for the owners and friends with stock holdings. The end of the 2009/10 school year was Friday, June 25 and market by an awards ceremony, snacks, games and a helicopter ride for two lucky students. Grade 1 overall honors went to: Devyn Cote, Elizabeth Groves, Dominik Hanson, Dayton Murphy, Tanner Ogilvie, Blain Pengelly, and Ayden Waters. Shawn Evans, McKenna Foesier, Sarah Johnson, Nicholas Kurney, Jaycen Lambert, Rachel Masse, Wyatt McDonald, Jasmin Mercier, Alyssa Oliver, Abigail Ophus, Katelyn Willsie. Long serving Caroline School teacher Vivia McFarlane, who is retiring, presented her honors students: Anika Ahlstrom, Courtney Alstott, Jenna Pengelly, Payton Schmalzbauer. Damon Adams, Beau Alstott, Haylee Beeman, Cassandra Biggart, Samantha Butts, Calvin Fauville, Carly Graham, Katy Johnson, Andy Larsen, Meagan Leek, Jordan Maxwell, Rachel Pengelly, Erin Rutchke, Libby Scheeler, Denton Westling, Erin Willsie. Easton Harder, Courtney Mercier, Logan Neal, Donavin Nichols, Cody Rowell, Shyla Schmalzbauer, Maggie Tims, Mallory Westergaard, Mikayla Todd, Julie Valasquez. Two lucky elementary students in Caroline School got to ride in this helicopter at the end of school year celebration on Friday, June 25. The names of the winners were kept secret until the last moment. This may have had something to do with the perfect attendance on that Friday. Shannon Fagnan from the Caroline and District Chamber of Commerce, who organized the May Long Weekend parade in Caroline,received a cheque from Eric Berg from Shell. The Red Deer Royals come to Caroline to participate in the parade and practice their show behind the school after the parade. The Canadian economy has been the golden child of developed nations during the last half year or so, but according to a Statistics Canada report released this morning, Canadian economic output stagnated in April. Following seven consecutive months of vey strong growth, Canadian gross domestic product (GDP) was unchanged in April 2010. GDP is a measurement of how much goods and services an economy produces, from the extraction of oil from Alberta’s oilsands to legal advice provided by a lawyer, the more stuff that an economy produces the richer a country is considered to be. After the 2008/09 recession, Canada’s GDP rebounded very strongly, driven partly by strong gains in consumer spending which propped up GDP in areas like retail sales and the housing market. However, recently consumers have stopped to catch their breath and this is weighing on Canada’s overall economic growth. Despite the stagnation in total Canadian GDP, output in Canada’s mining and oil and gas extraction sector, which is concentrated in Alberta, advanced by 0.5% in April. Statistics Canada noted that this was due to increased production of oil and oil services, while GDP from natural gas extraction shrank during the month. The weak reading on Canadian GDP rounds out a host of other indicators which all show that Canada’s economy stalled during the second quarter, including manufacturing shipments, retail sales and housing market indicators. Although Canada’s economy was largely expected to cool in the second half of the year it seems to be happening faster than many economists anticipated. While it is still far too early to say that the recent weakness is the beginning of a trend, economists will be closely watching these economic indictors moving forward. Fears grew that the global recovery is faltering on Thursday after a slew of data pointed to weaker global demand led by slower growth in China.